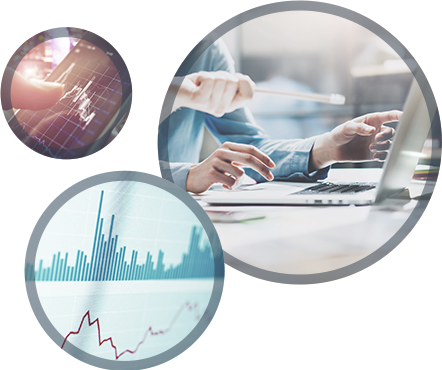 Through a combination of backgrounds in data analysis, social work, organizational development and software development, our team is positioned to empower organizations to use their data. We are passionate about having a positive impact on our communities. Jason Melchi is the owner and Chief Data Dude at Empact Solutions. He has consulted locally and nationally in justice reform initiatives since 2008. He has taken on the challenge of addressing the gap that often exists between social services and data, driven to help organizations feel more empowered and engaged in their use of data. Prior to working in justice initiatives, Jason earned his Bachelor of Science degree in Computer Technology from Purdue University. He then spent 12 years designing and developing data systems. In 2008, he graduated with honors from Indiana University with a Master’s in Social Work and most recently was certified as an Integral Master Coach through Integral Coaching Canada. Jason leverages his unusual combination of knowledge, skills, experience and passion to bridge the gap between the technical and human elements of using data, bringing both a strong understanding of data and a compassionate approach to serving others. Kim Cataldo has over ten years’ experience helping public sector organizations with data related projects and improving operations through strategic research and analysis. Before joining Empact Solutions, Kim worked with several non profit and government organizations in data related roles to implement data systems, evaluate programs and communicate findings. She received a Bachelor’s and Master’s degree in Criminal Justice and has participated in the evaluation of federal crime prevention programs. 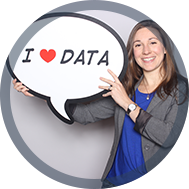 Kim Cataldo is a certified user of Tableau Software with several years’ experience building custom dashboards and analytical views for the purpose of exploratory analysis, funder reports, internal presentations, website publications and other communication products. Kim started using Tableau with the Administrative Office of Pennsylvania Courts (AOPC) and built several publicly available interactive dashboards displaying court statistics. In addition, she has considerable experience creating custom Tableau training curriculums for a variety of audiences, from large federal agencies to small public health organizations. For example, during the Ebola crisis in West Africa, Kim provided remote training sessions to multiple teams to increase their capacity to efficiently perform data analysis for decision making purposes. Kim is committed to helping public service organizations strengthen their mission and increase their impact through the use of data. Deven is a Senior Managing Consultant at Empact Solutions. He is trained in applied psychology, with concentrations in evaluation research, and industrial-organizational psychology. Deven dedicates the majority of his time to building the capacity for data-driven decision making within organizations. He also develops the appreciation, understanding, and use of data through compelling data visualizations using variety of tools. Through evaluation, Deven empowers decision makers to understand the inner-workings of their programs or new initiatives – allowing them to make the most informed decisions. His facilitation experience varies from delivering customized workshops to teaching the Psychology of Leadership & Organizational Behavior for the University of Arizona, South.